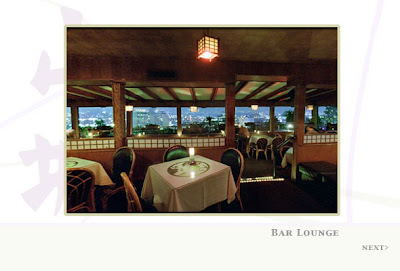 L.A., etc...: Yamashiro...Welcome to the "House of Yes"
We love to go for dinner just before sunset, and have wine, Yama Rockin' crunchy rolls and prepare our journey to the buzzing Hollywood nightlife down below. Somehow by traveling up this winding slope on Sycamore (just off Franklin and La Brea), you lose your concept of time and opt to stay longer enjoying Garden court, forcing your senses to travel to the Chaniwa tea gardens. 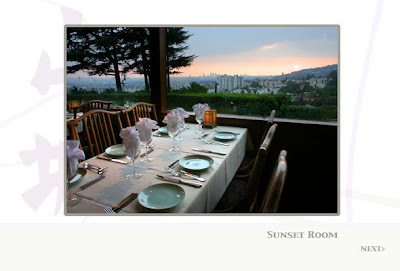 Plenty of dining areas, try the Sunset Room, Garden Court, Skyview Room, or even the bar area. This place is breathtaking, especially at nightfall. So, light your cigars and ladies double up on the martini's, you'll be here into the wee hours of the morning. 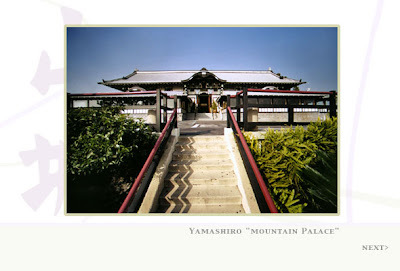 Did I mention that Yamashiro is perfect for weddings? *wink* The Restaurant buyout will impress 1000 of your closest friends...and in-laws. 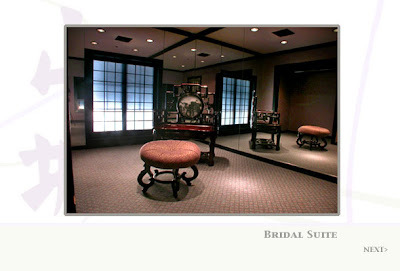 Take a look at the Bridal Suite.